Here at Lockaway Storage, we know our success is due to our wonderful team. The care they give our renters is unparalleled and we want to highlight their milestones along the way. 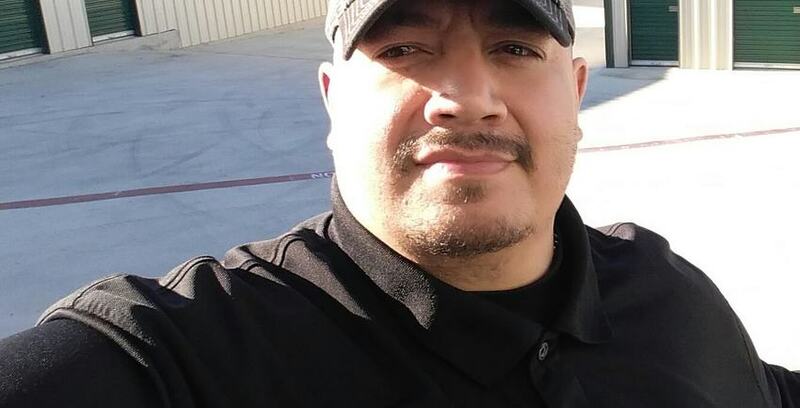 Below is an interview with team member Big Henry Medrano, who is celebrating his 3-year anniversary with Lockaway Storage. Big Henry is a Professional Self Storage District Manager in San Antonio, Texas. Peter: Why did you start working in self-storage? Is it what you expected? Henry: Well, we have to go back to 2012, we had just retired from 18.5 years as Foster Parents in September and my wife, Amy, was hired in October at Lockaway Storage. In general, she would always talk about wanting to go back to the self-storage arena as she had previous experience working for multiple storage companies. I didn’t get it, but after four days of training, she became the manager for the self storage location on W.W. White Rd. She advanced to the Rittiman location, then to our former NE Austin location, Lockaway Storage Manor. My son joined the team about a year later. I would always run into Don Clauson when he was in town. Even though I wasn’t employed with Lockaway Storage… There was something different about Don. He was very genuine, warm, approachable, and friendly. As time progressed, I eventually began working for the company as a contractor. I was mowing the landscape for the Manor location which was 16+ acres, nine of which was mowable land. It would take me over 35 hours to mow/trim it once every three weeks. It was rough, but it opened up the door to Lockaway Storage. In all seriousness, I saw how well Don Clauson treated my wife and son, and I knew it was a matter of time before I would eventually join the team. Don is the best boss (which he doesn’t like me saying) I have ever worked for. I’m a real estate investor of twenty plus years, however, I would not want to work for anyone else. Finally, I worked my way up from Assistant Mgr. to Facility Mgr. and currently as a District Manager. Peter: What advice would you give someone who is just beginning a career in self-storage? Henry: Like with any business, you have to learn your craft. It is all about due diligence. Once you learn the local market in your area and business side in general, then you cultivate your skills as an HLO aka High-Level Operator. Besides Knowledge, and with this company specifically, Loyalty, Performance, and Flexibility will earn you advancement. Peter: What is your favorite self-storage story? Henry: There are so many, but usually, my favorite is heartwarming or in customers who are in desperate need or are in difficult situations or when a customer is upset and tells me off. I usually (not always) can help turn them around by Treating Them the Way they Want to be Treated and Showing empathy. One example: As an Assistant Manager, a lady walked in during a time when we had several customers present. She became agitated as each minute passed. When we began discussing her account, she became irate and giving me the riot act. I mean she was cursing up a storm. I’m talking about the big words like the F-Word. It was apparent she was not receiving her invoices on her mobile and I recognized it wasn’t us she was mad at, but instead her inability to get her new phone to work properly in conjunction with her Email. I asked her if she’d allowed me to finish with the remaining customers, I would personally help set up her phone settings and Email to receive our invoices. She was actually surprised. Once done with the other customers, I began working on her phone and as I was asking her questions pertinent to info in setting up her phone… Her voice tone and expressions softened. After 30 minutes, I was able to not only assist her with her phone, but I invested that time talking to her like a friend. When I was done. She could not stop apologizing for how she treated me. More importantly, I didn’t hold a grudge. She came back to the store later that evening due to leaving her case behind. When she picked it up right around closing time she gave me a bag of chocolate candy for helping her. I refused a couple of times, but she wouldn’t have it. As weeks passed, every time she would see me on property… She would say, “Hi Big Henry!” and hug me. Believe it or not, this was a common thing with a select few of customers who told me off. Lol! At the end of the day, I know some customers have stressors just like everyone else and if I can make them smile, I feel like I’ve accomplished something and made it a good day. Henry: I used to collect Fight Videos and Magazines. But with the internet and technology today, there’s no more need to. I still have a bad habit of collecting business cards… I’m not sure why? Most importantly, my family and I are Foodies and we love trying new and favorite places. Another hobby I love doing is writing such as amateur movie scripts, poems, songs, short stories, articles, and even reviews (i.e. Restaurant and Food, Movies, etc). Peter: What advice would you give someone moving to the area? Henry: Explore when you can and get involved with the community. Occasionally, go to the movies at reserved seating only theaters, also I like going out with teammates, like Marc Gaudet and Austin Sanchez to watch PPV Fights. I love hanging out with my family and doing weird things like acting rich and visiting higher-end model homes for decorating ideas. Finally, we love visiting places that either has festivals, farmer’s markets, or activities that include a variety of vendors from food to antiques. Peter: What’s your favorite local restaurant in the area? Henry: Sushiana Japanese (NW Military), Fujiya Japanese (Wurzbach), Lupe Tortilla (The Rim or N281), and Papasito Cantina (IH10W), Golden Wok (Wurzbach), Dough Pizzeria Napoletana (Blanco Rd. ), Trilogy Pizza (Stone Oak Parkway), B-Daddy’s BBQ (Helotes), Black’s BBQ (Lockhart, TX now New Braunfels, TX) and probably hundreds more. Henry: I love to give a shout out to my wife Amy Medrano who has set a phenomenal example for me to follow in this company, my son Jake & his wife Krystal, my buddies Marc Gaudet and Austin Sanchez. As well as to the rest of my teammates Patrick, Andrea, Grace, Martin, Sedric, “Mighty” Mike, Aurora, Corey, Tiara, Eric, Marcus, Justin, Ted, Mauricio, Travis, Tristina, and most importantly a very good friend who I truly love, respect, and desire to model after, our owner, Don Clauson.